It is the largest village in the municipality of Pollica. Off the beaten track and mass tourism, from charming fishing village it has become over time a sea town of national importance. After years, it still retains its urban aspect in the streets of the historical centre and in the stone houses. 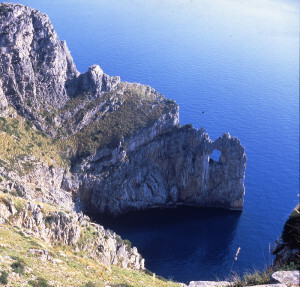 It is included in the territory of the National Park of Cilento. The town gets, from many years, for the quality of its waters, the “5 sails” of Legambiente and the Blue Flag for beaches, along with the other fraction of Pollica: Pioppi, World Capital of the Mediterranean Diet. 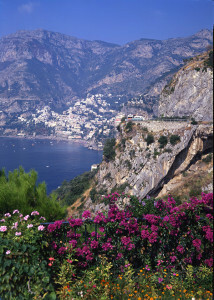 As for the largest part of the Amalfi Coast, this area is characterised by high mountains rising steeply out of the sea, riven by deep gorges. 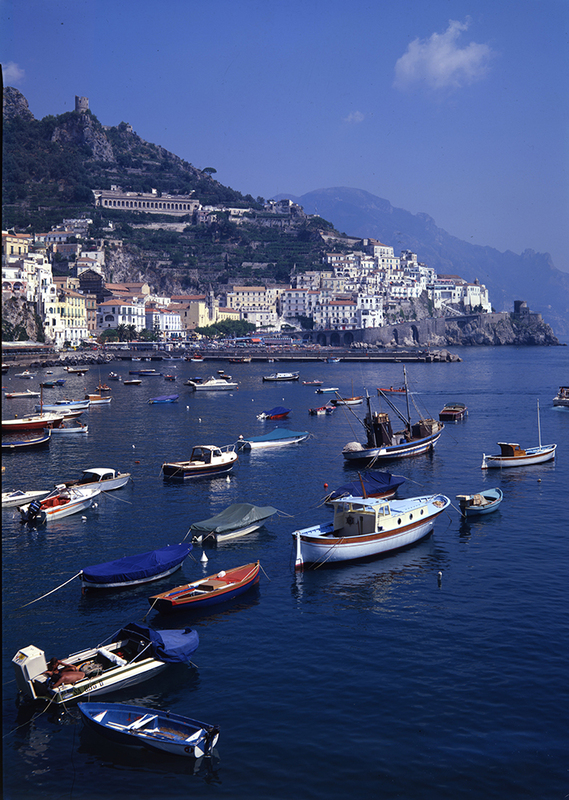 The classical Roman and Greek civilisations passed Amalfi by but, come the early Middle Ages, Amalfi’s power had grown mightily and as a maritime trading republic rivalled Venice, Pisa and Genoa. 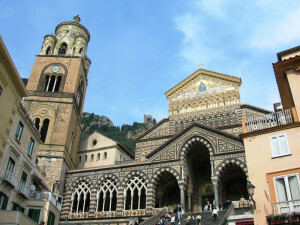 The “Tavola Amalfitana”, a code of maritime law, was written in Amalfi while the Amalfitan inventor Flavio Gioia gave the western world the magnetic compass. 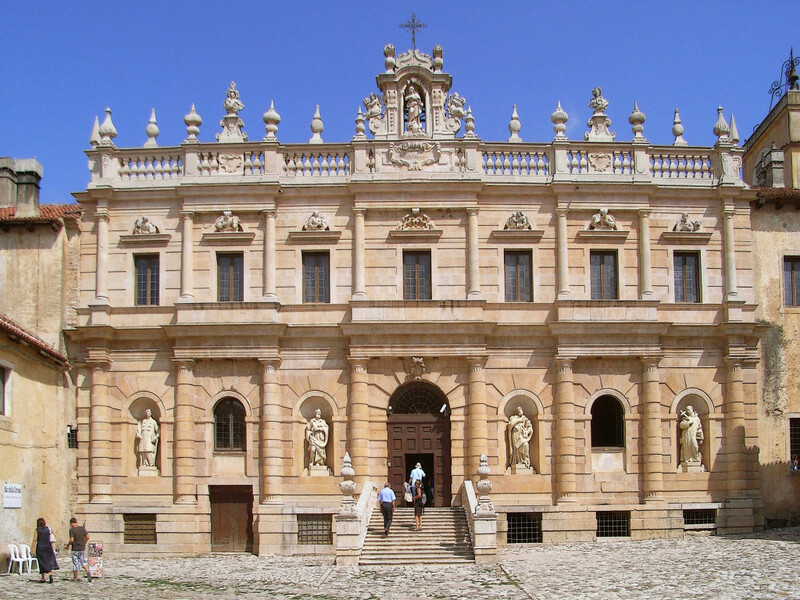 Major sights are St. Andrew’s Cathedral with its bright façade, the Baroque interior, and the crypt with St. Andrew’s relics, and the working paper mills. 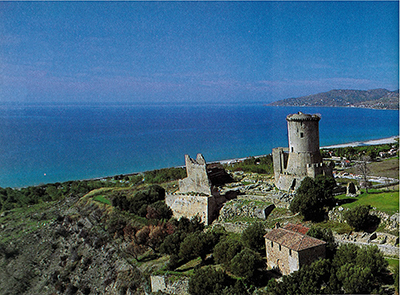 Entirely comprised in the National Park of Cilento, Vallo di Diano and Alburni, declared World Heritage Site by UNESCO in 1998. 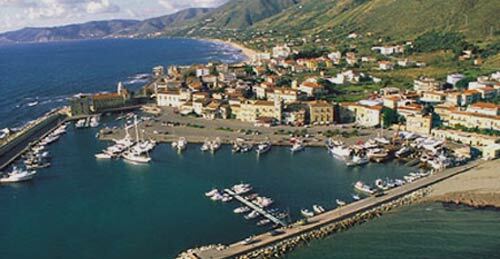 Its marine environments are the marine protected area of Santa Maria di Castellabate. 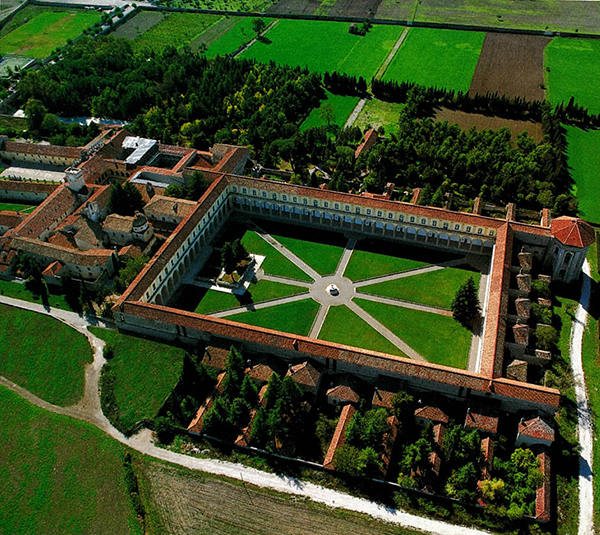 Geographically wide, with an area of ​​about 37 sq km, it counts five villages: Castellabate, Santa Maria, San Marco, Ogliastro Marina and Lago. 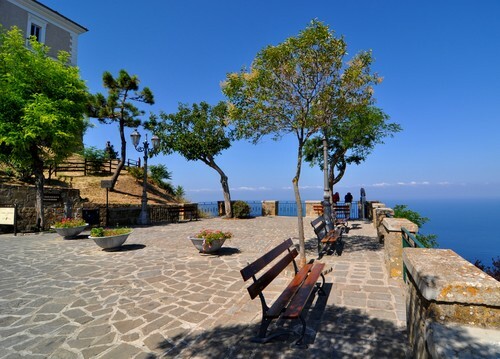 History, mild climate, the colors of nature with sea and green areas, the industriousness of people, the courtesy of the operators, the flavors and tastes of the Cilento cuisine are the essential ingredients to choose Castellabate as ideal spot for vacation and relax. In 2009 it was chosen by Medusa Film as set of Benvenuti al Sud, Italian comedy of great success [6th place in Italy for the most viewed movies of all time] directed by Luca Miniero and starring Claudio Bisio, Alessandro Siani, Angela Finocchiaro and Valentina Lodovini. 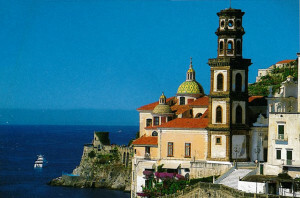 In September 2011 Castellabate has turned again into a great filming set: the opening scenes of the sequel of Benvenuti al Sud were filmed there. The movie, Benvenuti al Nord, arrived in Italian cinemas in the winter of 2012. Padula, a small town in the territory of Vallo di Diano, is renowned for its chartehouse dedicated to St. Laurence, one of the finest monuments in Southern Italy. 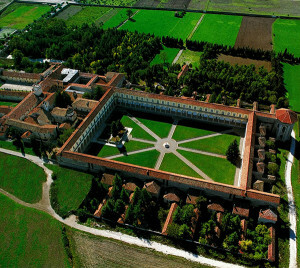 The Certosa di San Lorenzo was founded in 1306 by the aristocrat Tommaso Sanseverino, Count of Marsico and is the result of the commitment and huge works of several generations. Main features of the charterhouse are the magnificent cloisters, also in baroque style, and the famous spiral staircase leading to the library. 600 B.C. a group of settlers coming from Sibari, a rich and far-sighted colony in Magna Graecia, founded the town of Posidonia and built an imposing shrine dedicated to Hera, next to the mouth of the river Sele. Relationships were then established with the Etruscans living on the right bank of the river. Posidonia flourished and so grew the expansion desire of the Lucani who took over the town and blended the three cultures, thus remaining as the new overlords. 273 B.C. 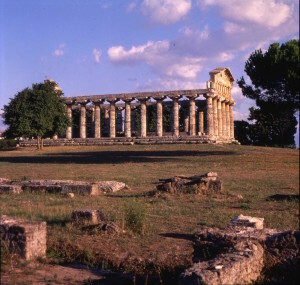 the Romans conquered this area and, among others, gave Posidonia a Latin name: Paestum. During the Roman Empire Paestum began to gradually decline. 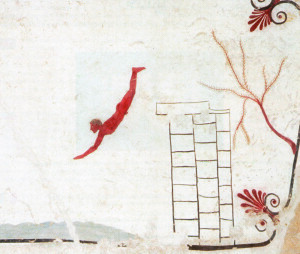 The Museum of Paestum witnesses the history of this ancient town and its surrounding areas. Outstanding examples of these ancient civilizations are the painted tombs of the Lucani warriors and the tomb of the Diver, the only painted Greek tomb ever found in Italy. 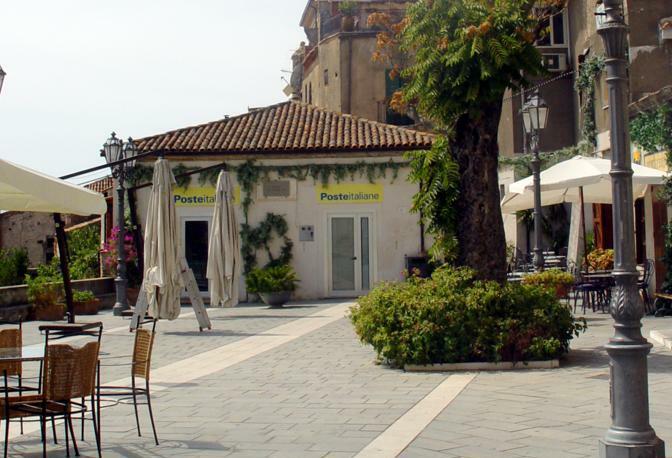 Located in the heart of the National Park of Cilento and Vallo di Diano, Palinuro, part of the municipality of Centola, owes its name to the legendary helmsman of Aeneas, and is among the most famous sea towns of Cilento, and among the favorite tourist destinations in the province Salerno. 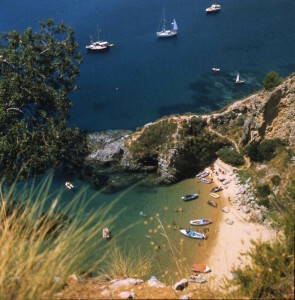 It is the “five stars” location of the Cilento coast, thanks to its clear sea, its endless beach, its wonderful cliffs, made of natural caves and bays. Nature lovers will be fascinated by the pink of the rocks and by the evergreen iberis, but the typical flower of this town is the Primula Palinuri, bunches of golden-yellow flowers with green rosettes of leathery leaves, which live in the cracks of vertical cliffs overlooking the sea. Since some years the Primula of Palinuro is the official symbol of the National Park of Cilento and Vallo di Diano. Already referred to by Seneca, the caves branch out like tentacles forming many “arms”. 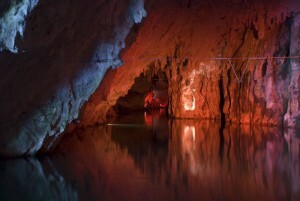 According to recent studies, this complex of caves dates back to over 35 million year ago. These natural cavities were originated and shaped through Karst phenomena, and were already inhabited by man in the Stone Age. In later history first the Greeks and then the Romans used them for cult gatherings. 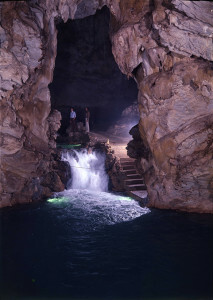 Because of the presence of an underground river, a special raft is used to visit that portion of caves (2.560 mt.) open to the public. 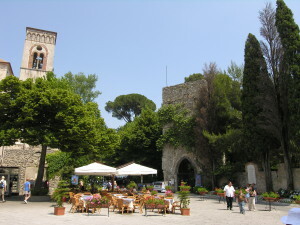 In history, Ravello mirrors Amalfi, as its economic power and influence peaked at about the same time. 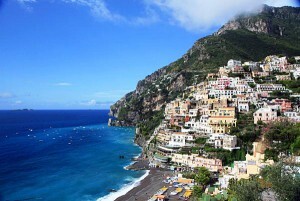 The town is now quite different from Amalfi in that it is much smaller, being little more than a village, and is spread out over its hilltop setting with gardens and floral walkways. 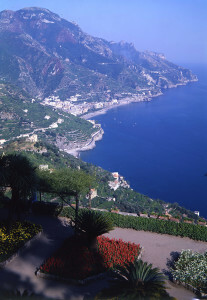 Ravello’s major sights are: Villa Rufolo (13th century) and Villa Cimbrone (19th century, in Moorish style). Both have enchanting gardens, laid out in the late 19th century by a Scotsman and an Englishman, respectively. Villa Cimbrone is a “must” because of its large and now rather unkempt gardens, adorned with statues in a spectacular setting. A plaque let into a wall records Greta Garbo’s stay, when she was rescued by Leopold Stokowski from the clamour of Hollywood to spend times of “joyful secrecy” at Cimbrone. 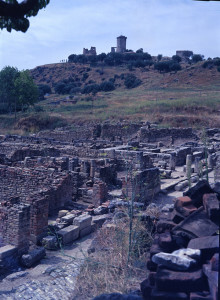 The archaeological site of Velia–Elea is located not too far from Ascea and is inscribed on the UNESCO World Heritage list. 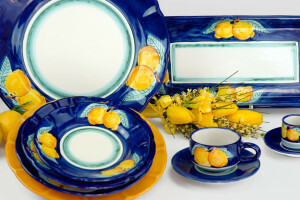 It was founded by Greek settlers in 540 B.C. with the name of Elea and was seat of the prestigious phisophical School led by Parmenides. Following to the Roman conquest, the name of Elea was changed into Velia. Thanks to its beautiful surroundings and its mild climate Velia became very popular among outstanding Roman personalities like Cicero. Today’s visitors can enjoy the sight of the Acropoli with its well-preserved walls and the Ionian Temple as well as Roman vestiges like the thermae. 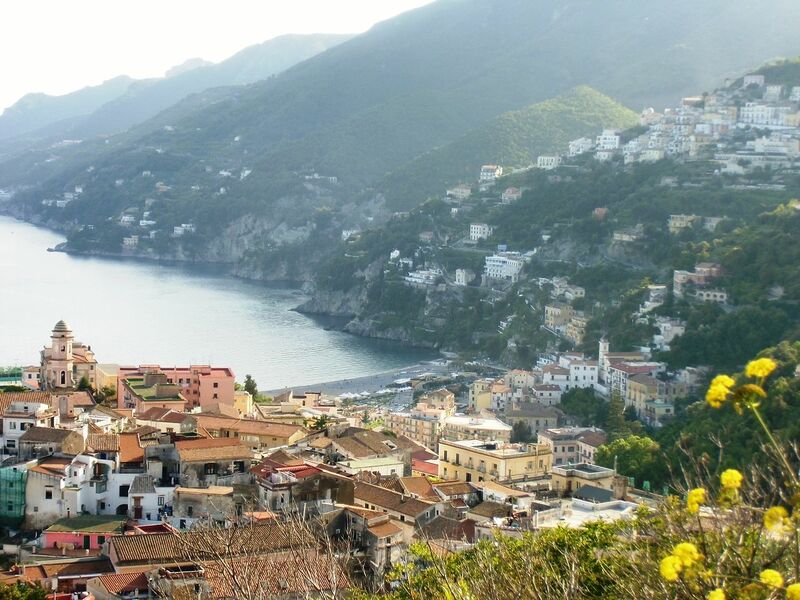 Proceeding from Salerno, Vietri is the first village of the Amalfi Coast and is characterised by enchanting terracings facing the bay. Main architectural sight is the church dedicated to San Giovanni Battista with its majolica-tiled dome shining under the Mediterranean sun. 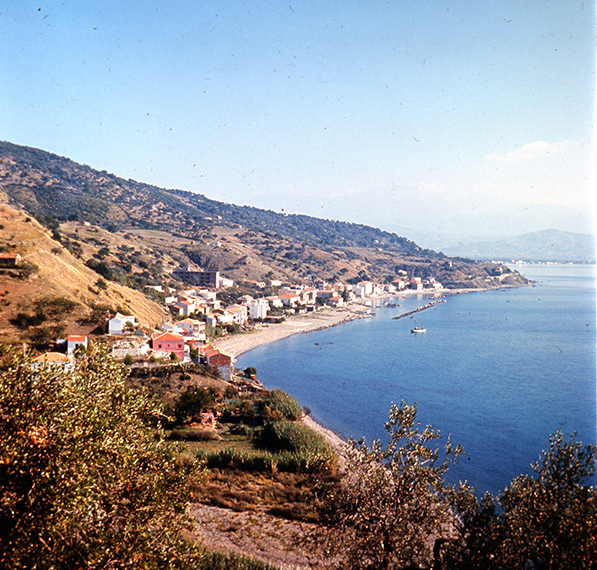 As for most of the towns and villages on this coast, the harsh orography of the territory and the almost total lack of connections had played an important role in Vietri’s history, discouraging inwards expansion and stimulating contacts with oversea countries. The Middle Ages was a decisive period in the cultural development of these people. They were able to rely on merchant fleets and on a successful network of trade and business relationships with Eastern countries, which greatly contributed to Vietri progress in the maritime, judicial and artisanal fields.